What is this, the 1940's? Why are women still getting shafted from better paying jobs? 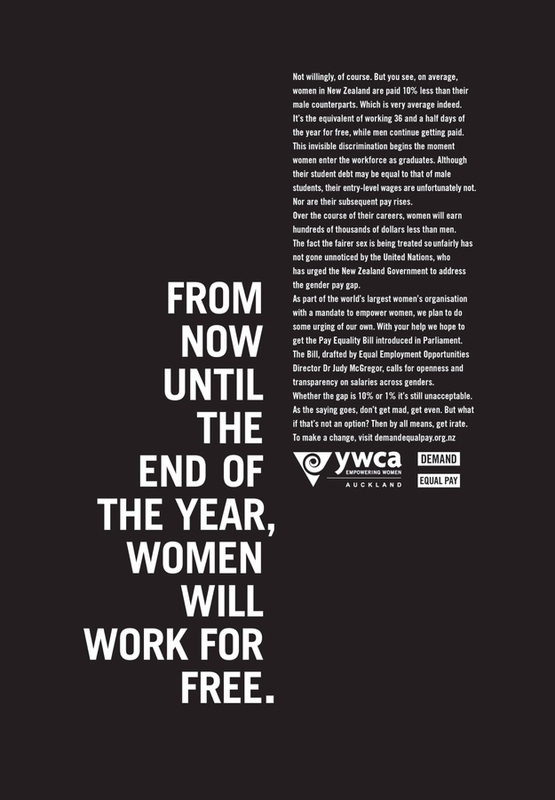 A commercial for the YWCA of Auckland was created by DDB to raise awareness of the inequality in the work force. 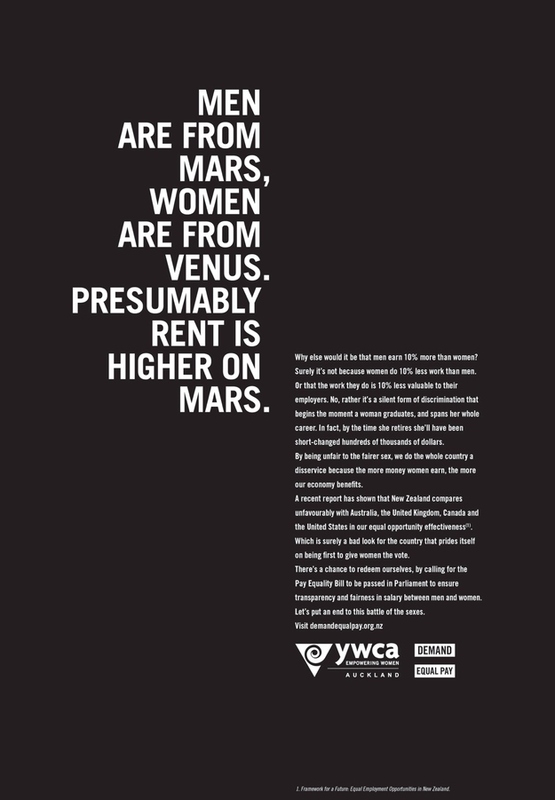 Print ads also accompany this campaign but they maybe too cute for this serious issue.